Foreign-based medical graduates will have to study for another year if they want to practice medicine in South Africa. For 26-year-old Mikael Patel* becoming a paediatrician was his lifelong dream. He ensured that he worked hard at school achieving the symbols needed to get into medical school. Patel’s road to the achievement of his dream was much like many other South African youngster who chose medicine as their profession except that in Patel’s case, his med school ended up being on the island of Mauritius. But the eight years Patel spent at university on the island is still not enough to allow him to practice in South Africa; he faces a new policy which has now extended his studies by another year. South African medical students studying abroad like Patel, are up in arms over the new policy that forces them to study for an additional year after graduating. The National Department of Health (NDoH) has introduced the policy from July 1 this year which requires foreign-trained doctors to take a one-year bridging course on their return to South Africa. Not only does this have serious financial implications for foreign-based medical students but it also delays the already slow process of applying and writing medical board exams before graduates can be allowed to practice professionally. Gavin Steel, the chief director of human resources at the NDoH, told Wits Vuvuzela that medical graduates from a number of overseas universities were not properly equipped to deal with medical issues like HIV and TB (tuberculosis) which are common in South African healthcare facilities and this is the reasoning behind the new policy. “Most medical degrees are general, we require graduates to have certain skills, dealing with trauma and being able to perform a basic caesarean,” Steel said. Patel disagrees with this view and believes that a shorter time is needed to acquaint foreign-trained doctors with the local context. “I agree that a course is required in order to get accustomed to protocols in South Africa, however I feel that it is unnecessary to have such a long course, a maximum of three months should be sufficient,” he told Wits Vuvuzela. In February, the implementation of a nine-year-old regulation, which prohibited foreign-based medical graduates to complete their internship in South Africa, was challenged by disgruntled parents, medical graduates and students, together with members of the legal, justice and medical fraternity. The internship would have had to be completed before the graduates would be allowed to write the Health Professions Council of South Africa (HPCSA) board exams. MEDICS: Foreign-based graduates will be forced to complete a bridging course for a year before they can practice as professionals. Following the implementation of this regulation, 22-year-old Ammaarah Bhamjee gave up on her medical degree after studying for four and a half years in China. Bhamjee said that she decided to abandon her pursuit of a medical degree after finding out that she would be forced to do her sixth year clinical training in China which would further delay her board exams and create financial stress for her. Bhamjee is currently in her first year of psychology at Wits. “It’s never easy to leave what you love and have to opt for something else. 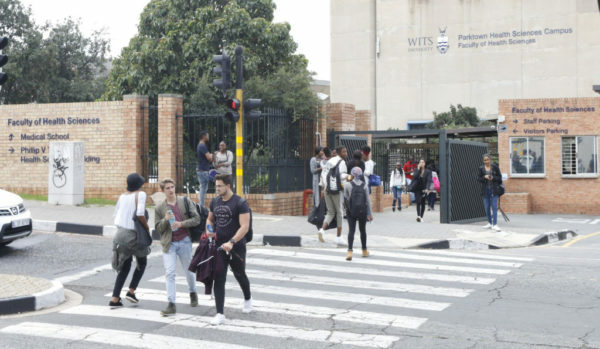 I am studying psychology because not only does South African universities not take transfers, but they also don’t give you credits for international subjects,” the first-year added. Medical graduates who have studied at a South African institutions are required to undertake a two-year internship. They are then required to complete 12 months of community service in the public sector. Interns apply for community service based on a published list of facilities with available posts. For foreign-based medical students the process of becoming a doctor is a little more complicated. Students who are thinking of studying overseas must register with the HPCSA and ensure that the foreign university is recognised by them. Those who do not register with HPCSA or furthermore, enrol in an international university not recognised by HPCSA, will have simply not be recognised as qualified to register as a health practitioner in South Africa. 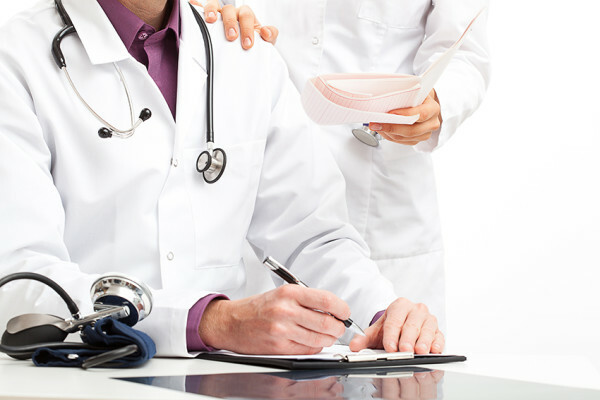 The graduate must obtain a certificate of good standing (COS) by the relevant authorities which states that the graduate has met all the requirements to become a medical graduate. The graduate must then write the board exam as prescribed by the HPCSA and together with the COS allows the graduate to meet the requirements to be an intern. Once the medical graduate successfully meets the requirements to register as a student intern, the graduate will then have to “undertake a clinical bridging programme of duration not less than one year,” according to the new policy. Fezile Sifunda, spokesperson for the HPCSA, said that a lot of the medical graduates coming from overseas have the knowledge but lack the experience. “HPCSA has to ensure that it delivers on its mandate to protect the public and at the same time guiding the professions. Graduates without the requisite training beyond medical knowledge acquired through lectures and study guides/text books are incorporated into the SA health market. The tried and tested local medical schools ensure equivalence for the graduate that trained abroad,” Sifunda said. DOCTOR: Foreign-based graduates who do not register with the HPCSA cannot practice medicine in South Africa. The new policy is not exclusive to South Africa. Medical graduates returning to India to practice are required to write the foreign medical graduate examination (FMGE), similar to South Africa’s board exams. According to a study conducted in that country in 2016, at least 75% of foreign-based medical graduates fail the FMGEs. Sharma said that a viable solution to the failure rate would be to provide a top-up course for foreign-based medical graduates before they write the FMGE so that they may become accustomed to the primary healthcare issues that people living in India are faced with. Annie Tooray from Pravda and Knowles attorneys which is representing foreign-based medical students challenging the new policy requirements says that the new policy is a waste of time. “Students who studied overseas will have another wasted year of clinical bridging and to deal with an assessment which is subjective. There is no mention of costs or where this programme will be done,” Tooray said. Tooray added that from her understanding, the guidelines also did not require those medical graduates in the South African government sponsored Cuban programme to study a further year upon returning to South Africa. But according to Sifunda regardless of the country that the graduate came from, the bridging course would be required. Medical students currently studying abroad have until July 2019 to register themselves with HPCSA as per the new policy guidelines. For Patel, the new policy is another burden he will have to deal with and he is seriously considering whether it is worth returning to South Africa after he graduates. “The policy will delay entry into the system and adds an extra year to what is already a long course which makes me evaluate the option of not coming back to South Africa and search for work elsewhere,” Patel said.